I have been using Antipodes Rejoice cream for months, it's my 2nd tube and that little beauty goes a long way. As you would expect of a blogger I get lured away from my favourites with the temptation of a review. 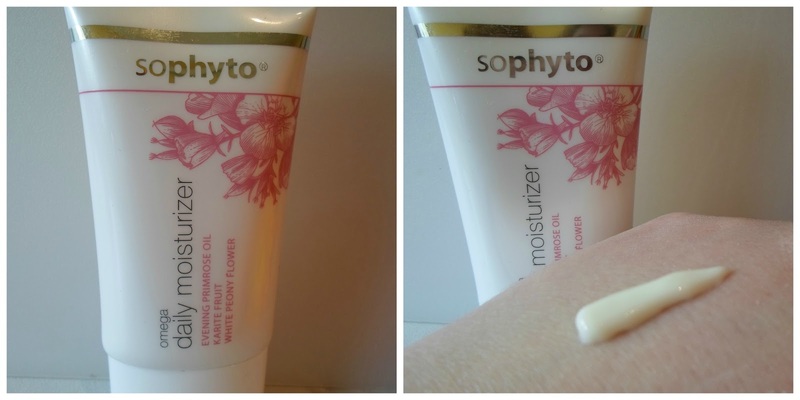 I lose track of when I buy things but a while ago I picked up a double pack of Sophtyo Omega Daily Moisturiser for the bargain price of £12.99 in TK Maxx. I have previously reviewed their Tocotrienol Super Skin Concentrate and Purifying Silken Cleanser, both of which I enjoyed using but admit I have not repurchased. The Omega cream is currently sitting unloved in the bathroom. I have to say, this is not floating my boat in any way. It’s not a horrid cream. It’s just average in comparison to my beloved Antipodes and Dr Organic. I cannot say I have noticed any amazing difference in my skin nor am I particularly enamoured about the unusual scent. I was surprised because I would have thought peony flower would give an interesting floral aroma. I would describe this cream as lightweight so I do wonder if it would get me through the winter months when my skin is at its driest. It certainly did leave my skin soft with no obvious signs of irritation. I did not use it long enough to see if it lives up to the claim about fine lines. The website suggests this cream can also be used by men. I like that the brand markets to both genders but I know, after reviewing the cleanser, some of you said that you find it off putting. Overall, I never think a moisturiser is awful it’s just a case of it not suiting your needs and this one falls short for me. Everyone is different and I would like to say the brand ingredients and ethics are jolly good in comparison to their mainstream competitors. Anyone else tried this? If you wish to share your opinions then do leave a comment below, it may help another reader.